This week I sat down with my former coworker now turned friend Jen Hurler. Jen and I worked at Blue Sky Studios together in the Story department for almost 3 years before we both decided to explore other opportunities. Working together allowed for us to build a genuine friendship and learn that we are both obsessive about animation and very passionate about a lot of the same things within the industry. 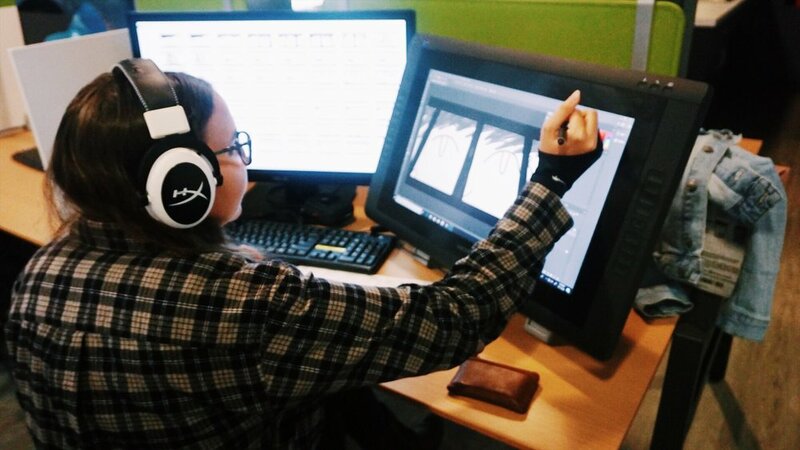 Jen’s website Animation Complex, is her platform for sharing her experiences working in the industry thus far as well has sharing her perspective on animation related events. Just this week her post “A Preview Of Breaking The Glass Frame, A Timely Symposium In L.A. About Women In Animation“ was published on Cartoon Brew. Below is a snippet of our conversation. If you would like to hear more I will be posting the complete audio file on my Patreon page. I never gave myself the chance to go after creative roles even though that was my goal. You can follow Jen on Instagram & Twitter, visit her site Animationcomplex.com and watch week 1 of her thesis vlog below. I have 40 weeks to make a CG animated short film for my MFA degree at the School of Visual Arts (SVA) in NYC. Come along for the ride! These weekly videos will be pretty informal, probably featuring various clips and short little vlogs throughout the week, especially as things get busier and busier.